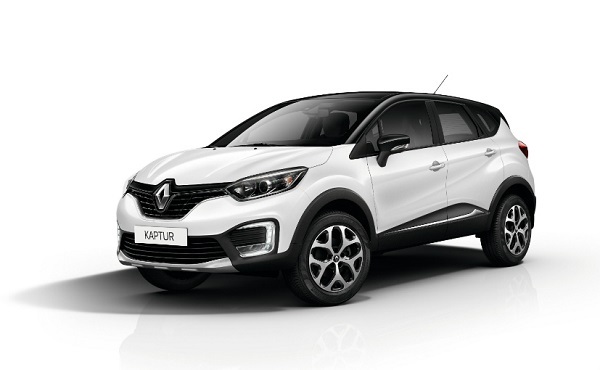 French car maker Renault has launched its highly awaited compact SUV Captur in the Indian car market with the starting price of Rs. 9.99 lakh (ex-showroom price, New Delhi) for its entry level variant. The top end variant is priced Rs. 13.88 lakh (ex-showroom price, New Delhi). After Duster, it is the second compact SUV by the car maker in India. The Indian version of Captur is highly different from its European avatar. The compact SU outsources lots of its cues from its elder sibling Duster as both the vehicles are developed on MO platform. However, going through the comparison of the features Renault Captur undoubtedly beats the Duster. 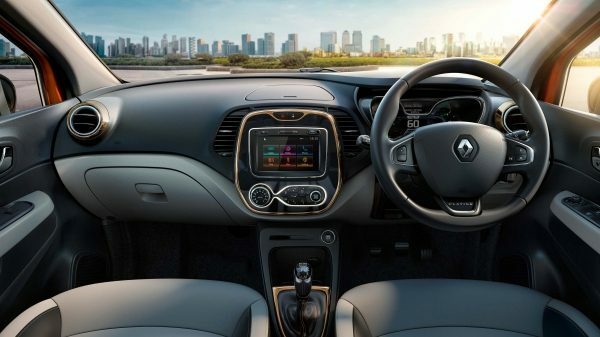 Mechanically, the Captur is empowered with 1.5 litre K9K diesel engine that is capable of generating the power of 108 bhp at 4000 rpm and torque of 240Nm at 1750 rpm. On the other side petrol variant is energized with 1.5 litre engine that is efficient of boosting the power of 104 bhp at 5600 rpm and torque of 142 Nm at 4000. The transmission duty in both the engines is carried out through six speed manual transmission system. There are no chances of launching automatic AWD options the company in coming future. Dimensionally, the Captur is lengthier than its sibling Duster but narrow in width. Some of the notable features offered on the exterior front are full LED headlamps with LED turn indicators, C-shaped LED DRLs, LED wraparound taillights. The top end variant is offered with seventeen inch diamond cut alloy wheels. On the interior front it embellishes dual tone black and white interior followed by central console having touchscreen infotainment system covered with gloss black inserts. The digital display offered on twin pod instrument cluster enhances the attraction of the interiors.